(by W.J. Hennigan, LA Times) – U.S. commanders mounted a cyberoffensive against Islamic State in Syria for the first time in recent weeks by deploying military hackers against the extremist group’s computer and cellphone networks, according to the Pentagon. More importantly, Secretary of Defense Ashton Carter’s disclosure of a government-sanctioned cyberattack represents a shift in America’s war-fighting strategy and power projection. No other nation has publicly acknowledged launching cyberwar. …In December, after deadly terrorist attacks in Paris and San Bernardino, …officials in the White House pushed the Pentagon and intelligence agencies to crack down harder on Islamic State’s use of the digital realm to recruit and radicalize followers, handle logistics and communicate with commanders and fighting units. …In a White House meeting, officials directed senior Pentagon officials to prepare options for more aggressive cyberoperations. Hacker teams working with U.S. Central Command, which oversees U.S. military operations in the Middle East, were ordered to focus on “disrupting [Islamic State’s] ability to command and control, to communicate, and to run the so-called state,” according to a Defense Department official. Carter said [at the end of February] that the goal was to “overload their networks” and “interrupt their ability to command and control forces” with jamming and other cybertools. “This is something that’s new in this war,” Carter said before he left on a four-day swing through the West Coast to meet Silicon Valley executives, address a cybersecurity conference in San Francisco and visit Amazon and Microsoft in Seattle. Gen. Joseph F. Dunford Jr., chairman of the Joint Chiefs of Staff, who appeared with Carter, said secrecy was necessary to ensure Islamic State commanders don’t know if they’re under attack, or just suffering technical problems. Blocking all communications in territory held by the militants, for example, could hamper U.S. collection of intelligence on their locations, operations and plans. It also could affect civilian networks or those used by humanitarian groups in Syria’s civil war. But U.S. officials said targeted denial of service (DoS) and other cyberattacks, plus more than 85 coalition airstrikes, helped U.S.-backed Syrian rebels retake the strategic town of Shaddada and nearby oil fields in mid-February, a major prize in the war. 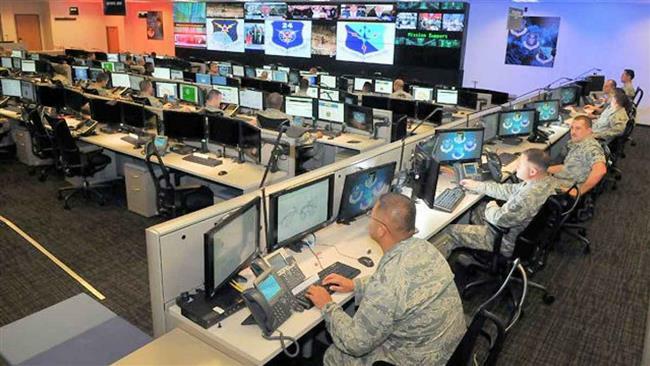 Pentagon officials described the growing role of Cyber Command as part of a “strategic shift” from cyberdefense to cyberoffense as the military adopts digital sabotage as a new tool for combat and counter-terrorism. Cyberoffense doctrine remains secret, but Carter has spoken about the need to mobilize Cyber Command to counter Islamic State’s sophisticated use of social media and other Internet platforms. The Obama administration’s budget request to Congress for the next fiscal year includes $6.8 billion for Cyber Command and other Pentagon cybersecurity operations. That’s a 15% increase over this year even as the Pentagon has faced budget cuts. Martin Libicki, a cyber and national security analyst at the nonpartisan Rand Corp. think tank in Arlington, Va., said U.S. Cyber Command has far greater resources than Islamic State [ISIS] and should be able to overwhelm the group. “They probably couldn’t do this so easily with a sophisticated enemy, but ISIS is not a sophisticated enemy,” he said. “Let’s face it, ISIS is not going to reengineer its computer systems after they realize they’ve been breached.” ….. Published February 29 at LATimes. Reprinted here for educational purposes only. May not be reproduced on other websites without permission from the Los Angeles Times. Visit the website at latimes .com. 2. 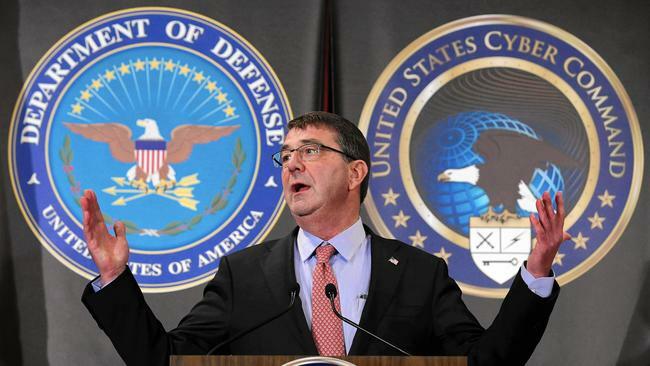 What is significant about the Pentagon’s announcement about the cyberoffensive against ISIS? Be specific. 3. What is the goal for military hackers at U.S. Cyber Command? 4. Why isn’t the Pentagon revealing details about the program, according to Joint Chiefs of Staff Chairman Gen. Joseph Dunford? 5. 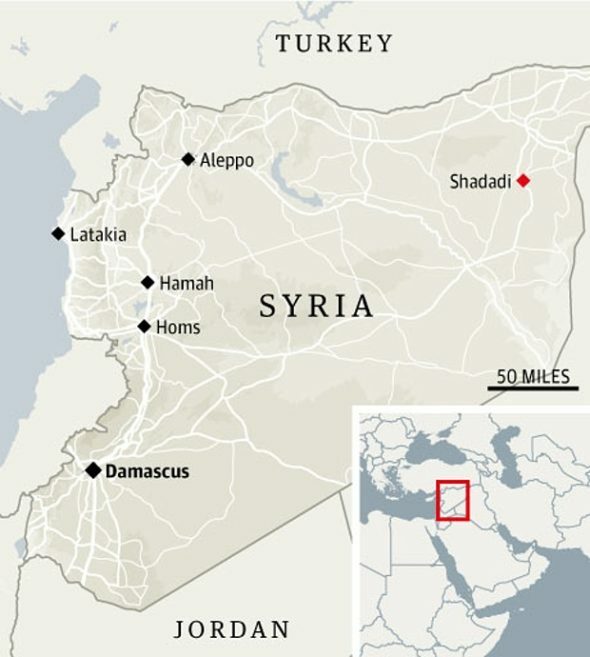 How did U.S. Cyber Command hackers assist Syrian rebels in Shaddada in mid-February? 6. What does cyber and national security analyst Martin Libicki say about the effectiveness of the U.S. Cyber Command against ISIS? 7. What effect do you think publicizing the cyberoffensive (without giving details) will have on ISIS? (none, minimal, positive, negative) Explain your answer.